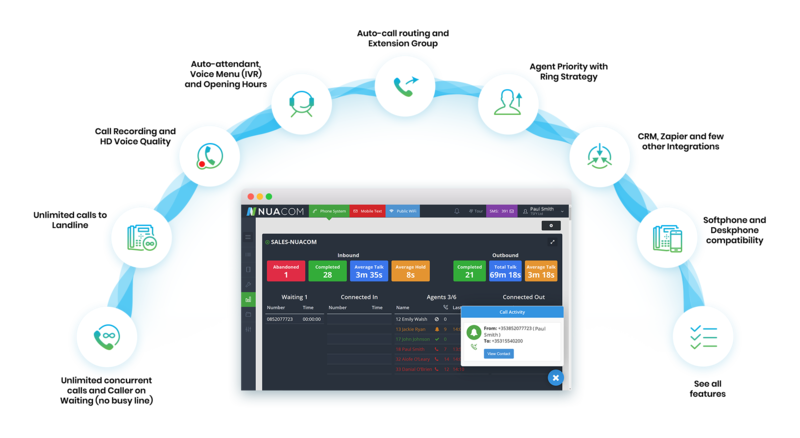 ✓ Auto-attendant, Call Recording and 50+ more VoIP features. 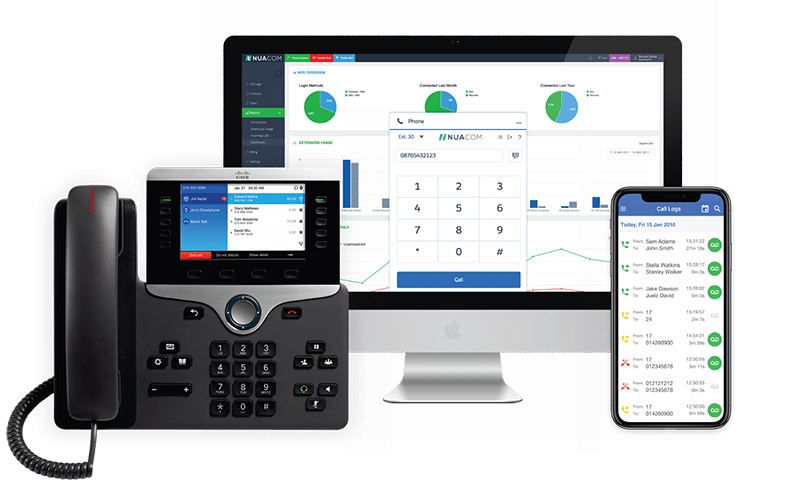 With our All-in-One VoIP Phone System, you can connect efficiently with departments, boost staff performance, improve customer service and unify your devices, thanks to all our 50+ VoIP features. Power your team with our 50+ VoIP features for better time response, connectivity and call handling. Flip calls from deskphone to mobile and set up auto-forward to mobile when away from your desk. Automatically connect calls to the right department, group extensions and integrate with business apps. Know your telephony status, call logs, missed calls VS answered calls, talk time and more. A stable system located in ISO27001 certified local datacentres. Get the service from the first-hand provider, with no intermediates.